Stock market analyst Shardul Kulkarni of Angel Broking is of the view that investors can 'sell' Reliance Communications Ltd stock with target of Rs 174. According to analyst, the interested investors can sell the stock with stop loss of Rs 181. Today, the shares of the company opened at Rs 179.40 on the Bombay Stock Exchange (BSE). The share price has seen a 52-week high of Rs 319.70 and a low of Rs 134.25 on BSE. Current EPS & P/E ratio stood at 24.12 and 7.32 respectively. Reliance Communication Ltd has withdrawn its appeal before the tribunal TDSAT, challenging allocation of extra spectrum to GSM operators by the administration beyond 6.2 MHz, presumably considering TRAI's most recent statement on spectrum. In legal proceedings of the two years old case, advocates appearing for the ADAG group firm appealed the Telcom Disputes Settlement and Appellate Tribunal to let them to take out their petition, which was accepted. 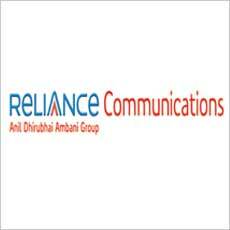 Taiwan-based cell phone manufacturer HTC has inked a deal with Reliance Communications Ltd with the aim to roll out HTC Wildfire, a 3G-enabled smartphone in India. This HTC Wildfire will feature a 3.2" touch screen, a 5-mp camera and up to 500 MB of free data usage for six months. HTC India country head Ajay Sharma stated, "The stylishly designed HTC Wildfire brings all your communication requirements into one place, whether it's through Facebook, Orkut, Twitter or Flickr."